To be a CORPORATE SPONSOR at GCA’s 2019 Fall Festival and Holiday Market, complete the form at the bottom of this page. A representative will contact you shortly with details. Corporate name will appear on advertising sponsors’ banners, displayed at the event. 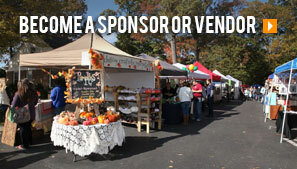 A link to your website will appear on the Sponsor Page of www.greenvillefallfestival.com. A one-page advertisement of your business will appear in our Advertising Booklet that will be given to all visitors. Business card or marketing item of choice in each welcome bag for first 100+ visitors. A minimum of 3 dedicated Facebook post, plus priority status with regards to other Social Media coverage (based upon Sponsor’s Social Media presence). A link to your website will appear on the homepage of www.greenvillefallfestival.com. A half-page advertisement of your business will appear in our Advertising Booklet that will be given to all visitors. A minimum of 2 dedicated Facebook post, plus priority status with regards to other Social Media coverage (based upon Sponsor’s Social Media presence). A quarter-page advertisement of your business will appear in our Advertising Booklet that will be given to all visitors. Intermittent social media coverage (based upon Sponsor’s Social Media presence). This is a “Maker’s Only” event and a juried event. If you would like to be considered for future events and have a unique, hand-crafted item, please feel free to submit the form below. $120 for a vendor space. Please note the price will increase to $130 on June 1, 2019. A link to your website will appear in a premium spot on the Vendor Page of greenvillefallfestival.com. A full-page advertisement of your business will appear in our advertising booklet that will be received by all visitors. Gold Level Vendor may choose their preferred zone within the vendor ring. Business card or marketing item of choice in each welcome bag for first 100+ customers. A minimum of 3 dedicated Facebook posts, plus priority status with regards to other social media coverage (based on Vendor’s social media presence). $70 for a vendor space. Please note the price will increase to $80 on June 1, 2019. A link to your website will appear on the Vendor Page of greenvillefallfestival.com. A half-page advertisement of your business will appear in our advertising booklet that will be received by all visitors. A minimum of 2 dedicated Facebook posts, plus additional social media coverage (based upon Vendor’s social media presence). $45 for a vendor space. Please note the price will increase to $55 on June 1, 2019. A quarter-page advertisement of your business will appear in our advertising booklet that will be received by all visitors. A minimum of 1 dedicated Facebook post. NOTE: GCA reserves the right to not accept any application for any reason.